Lakeview Orchestra will perform Sibelius’ Karelia Suite on Tuesday, October 2nd at 7:30PM at the Athenaeum Theatre. 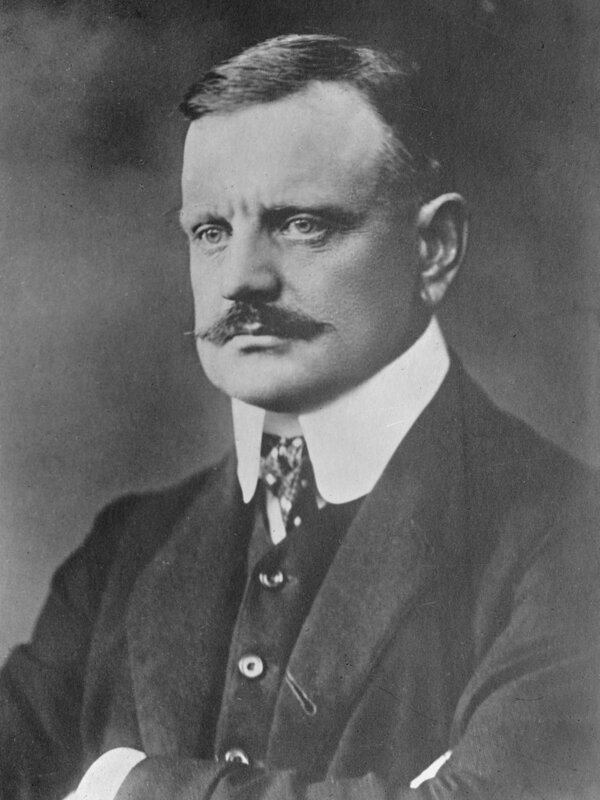 In 1892, the 35-year-old newlywed Jean Sibelius took his wife, Armas Järnefelt, to the Finnish province of Karelia for their honeymoon. This stunningly majestic area on the Russian border, with its landscape of forest and lakes, is setting to many events in the Finnish national cycle of myths and legends known as the Kalevala. Although beautiful scenery, the practical function was to serve as a geographical buffer between Finland (a semi-autonomous province of Russia at the time) and Imperial Russia. Russia has an extremely well documented half millennia long history of inserting itself into the affairs of adjacent non-Russian people since Ivan the Terrible. Statecraft, for Russia, has always employed subverting local governments under Russian influence by means of intimidation, invasion, and sometimes war in order to force domestic economic and political stability and regional commerce. The cost was always the liberty and security of peoples of non-Russian states who were proximally too far from the safety and security of their own nation’s capital and too close to Russia. What Abraham Lincoln’s 1855 letter to his friend Joshua Speed discussed was the political ideology of the inaugural “America First” party, the Native American Party (colloquially the Know Nothing Party), a political party of misfits with no real ideas on governance. Lincoln’s go to example of Russian despotism in his letter was something every educated human was aware. To be clear, Lincoln was not attributing despotism to the Russian people, but the thugs that controlled them: Be it the Tsars of the Winter Palace or the autocrats in the Kremlin, pick your poison. The opening Intermezzo accompanied a tableau that depicted a moment during the winter of 1333 when Duke Narimont collected tax tributes in the Käkisalmi district. The beginning of this movement sounds like Bruckner: over a quiet rustle of string sound, four horns sound the shape of the fanfare-call that will run through this movement, which is essentially a long crescendo and decrescendo. That fanfare is first heard in the distance, grows louder, passes by in its entire buoyant swagger and fades into the distance. The Ballade accompanied a scene that took place in the Viipuri castle in 1446, when the nobleman Karl Knutsson Bonde was entertained by a court singer, as depicted by an English horn. A clarinet duet outlines the opening theme of this movement, and this leads to a full-throated string chorale. Following the English horn solo, the music concludes with a quick reprise of the opening material. The finale, the Alla marcia, depictes the conquest of Käkisalmi by the general Pontus De la Gardie in 1580. At the premiere, the opening section of the movement was accompanied by a fireworks display, recalling De la Gardie’s military victory. Sibelius adapted the second half of the movement, a march, for the orchestral suite. This march commences steadily; full of dotted rhythms, then builds and builds to the grand, heroic conclusion Sibelius wanted to capture for his Finnish audience.